This system traverses two (2) states, encircles the Sylavania Wilderness Recreation Area and combines segments of aggregate bike paths, paved bike paths (Land O’Lakes Bike Trail), and road bike routes. 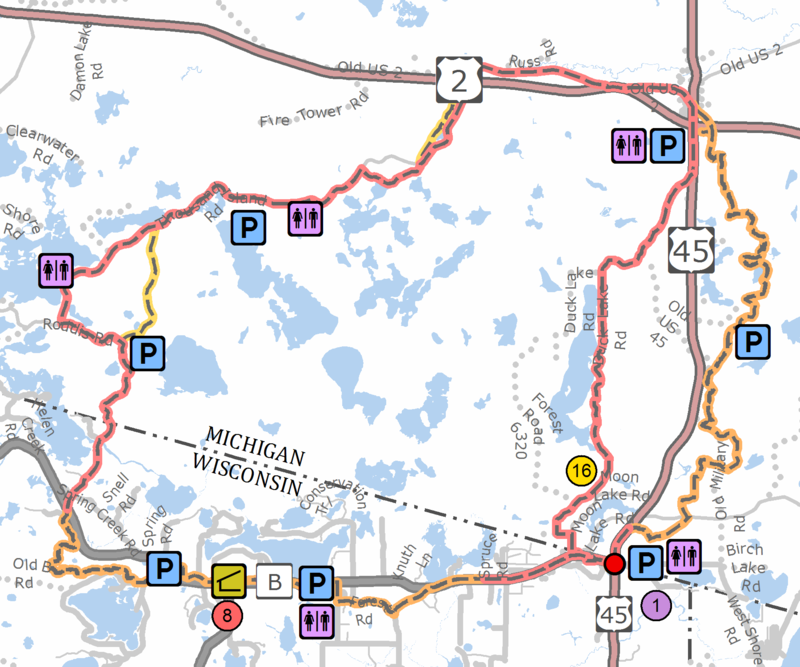 The system provides access to the 12 mile Agonikak National Trail, a 10-12 foot wide gravel trail between the Ottawa Visitor Center and the Michigan Roadside Park just north of Land O’Lakes. The trail winds around remote lakes and through the woods with a 40 foot pedestrian/bicycle bridge crossing Duck Creek.